Kew Gardens’ Princess of Wales Conservatory has been transformed into a tropical paradise in celebration of Brazil’s plant life and habitats. The Orchids Festival pays homage to Brazil’s carnival season, bringing the vibrant atmosphere to Kew. 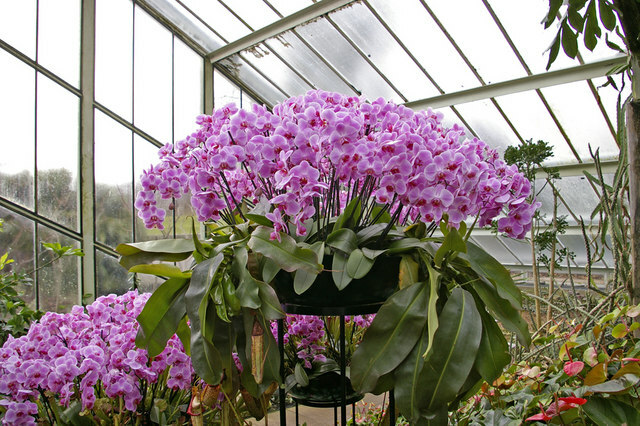 See the beauty of the orchid, bromeliad and tropical plant displays from around the world. Also, don’t miss the talks and films that can teach you about the diversity of Brazil’s environments and flora, as well as the work Kew is doing in Brazil to aid plant conservation knowledge. If you’re looking to stay in central London during your visit, then your trip will be made that much better by booking into the Villa, Kensington. This accommodation is a step away from the heart of London, offering guests a haven away from the bustling streets of the city. It’s housed in a beautiful historic building, just two minutes walk from Gloucester Road underground station. As well as offering guests easy access to the beauty of Kew Gardens, the hotel is also perfectly placed for access to some of London’s most well-known attractions. Take a short trip into Knightsbridge or Chelsea to be amazed by the upmarket shops and eateries available, or ride into the centre to see the sights of the London Eye and Buckingham Palace. In addition, you are just a short walk away from London’s top museums. The Natural History Museum, Science Museum and the Victoria and Albert Museum are renowned across the capital for their astounding and enthralling exhibitions. The nearest tube station in Gloucester Road, which has services on the District, Circle and Piccadilly lines. These can all take you across London, offering easy access to anywhere you might like to go.